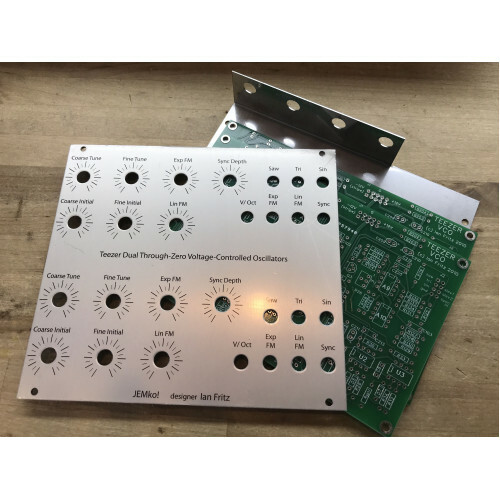 limited edition- ONLY 25 pcb/panel/bracket sets were made for this one-of-a-kind eurorack DIY module! 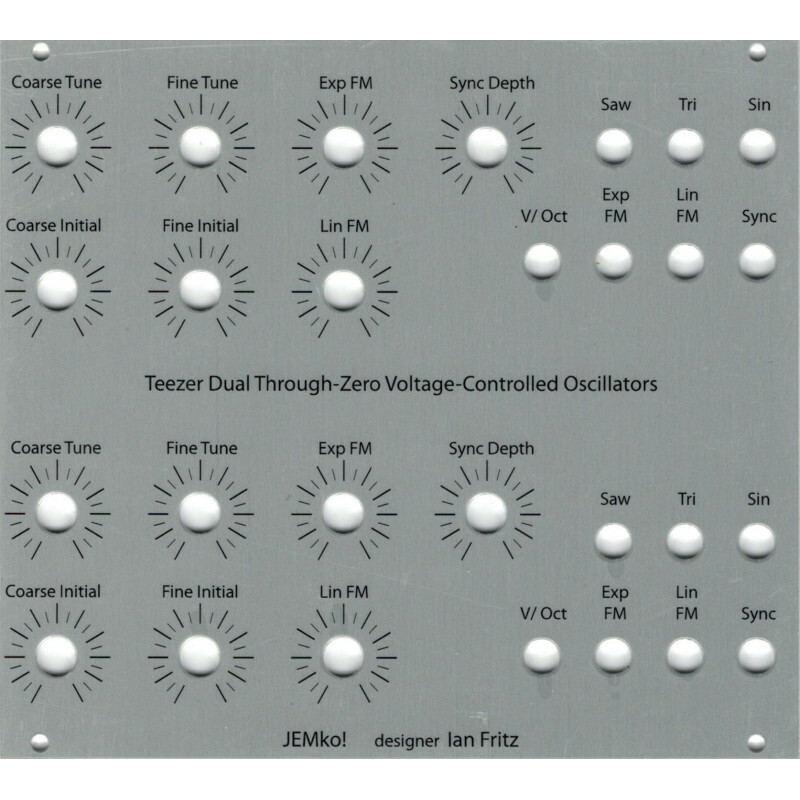 with kind permission and support from ian fritz, we are happy to announce the limited availability of the dual teezer vco for eurorack. Designed in cooperation with Scott Deyo/Bridechamber in 2011/2012, this module has never been available until now- and once the 25 sets are gone, there won't be any more made. this is an advanced DIY build-- lots of parts, calibration, flying wires, pcb options etc- please do not attempt it unless you are comfortable with your DIY skills. Only limited support will be available, given the time lapse from the design until its release. the bundle includes two PCBs, the euro panel and the mounting bracket.